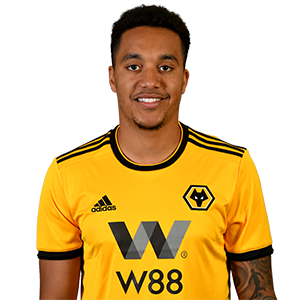 A popular figure at Molineux, Helder Costa is a regular threat out wide for Wolves. Winning the club’s Player of the Season Award in his first year at Wolves was the ideal way for Helder Costa to settle into life in England. The youngster initially signed on loan in July 2016, but made his move permanent after a brilliant first half-season at Molineux. The Portugal Under-23 international came through at Benfica and spent time on loan at Deportivo de La Coruna in La Liga. Time with Monaco followed in Ligue 1, before he took on the challenge of English football and never looked back. Now in the Premier League, the winger netted his first top-flight goal for Wolves against Tottenham in December 2018.